This dress, the Simple Sew Ruby dress, was a dream to make. It only took a few hours to sew up and, like my previous experience of Simple Sew patterns, the instructions were really easy to follow. This dress was actually a freebie with Love Sewing magazine but it’s such a great make that the magazine rereleased the pattern a few months ago. I got mine on its original run but stashed it away for a future make. Recently I found some fabric I didn’t have a use for and, on a break from another sewing project, I decided to make it. I’m glad I did as I really love the shape of the dress and it has a great circle skirt. One major thing I’d change (and should have done differently this time but I didn’t have enough fabric) is lengthen the skirt considerably. I really don’t like the dress length at all and even in the drawings it appears to be short. 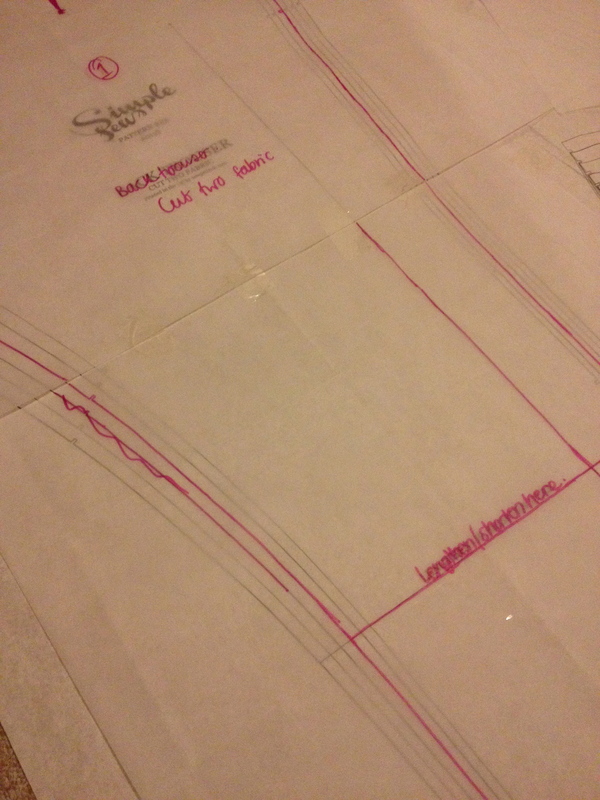 I think that’s even why I didn’t use the dress pattern straightaway. Looking at these photos I think next time I’ll also lengthen the bodice. I wonder whether other people have felt the need to lengthen the pattern? I’m definitely planning to make more Rubies, especially as they’re perfect for the hot weather that we’ve been having lately! I guess next time I’ll order far more fabric to be able to make these changes. 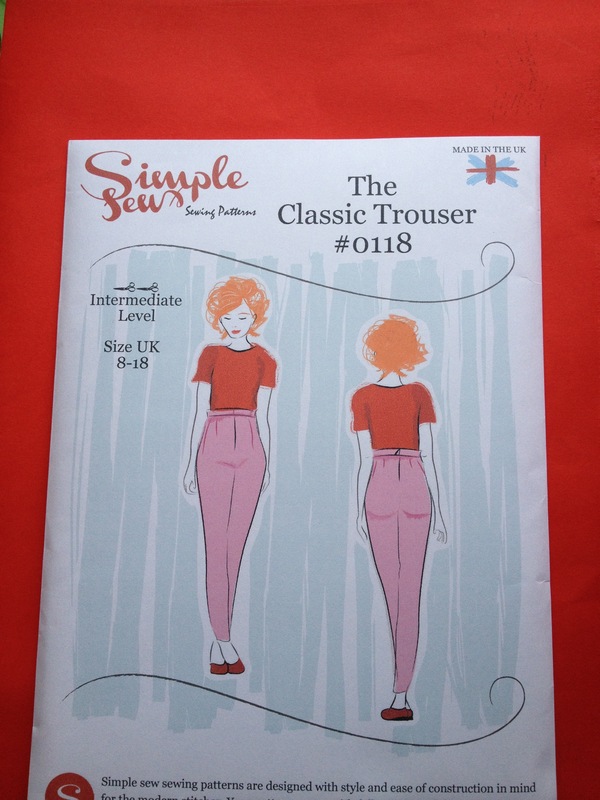 As mentioned previously, I won a sewing pattern from the lovely people at Simple Sew Patterns just after Christmas. I was able to pick a pattern of my choice and having had a good look at their sewing patterns, I chose the classic trouser pattern. Having never made trousers before, I was slightly daunted by the prospect, but I love a good challenge and the pattern seemed easy enough. I’m usually lazy when it comes to doing practice runs, but I made sure I did one with this pattern, as I wasn’t quite sure what size to go for. In the end I sized up and this was probably the best idea as I found the ankles were slightly small and would have been smaller yet if I’d gone down a size. Plus sizing up enables me to eat more food, and that’s not a bad thing. 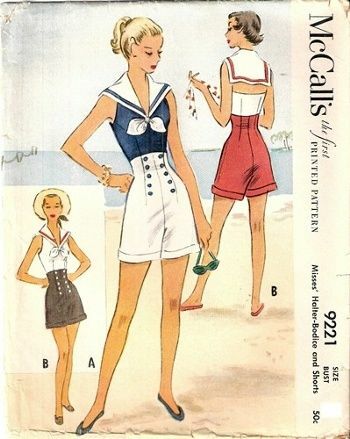 The pattern is for a peg leg style trouser with pleats in the waist and makes a very classic look. It’s a nice, easy pattern for anyone new to sewing trousers, but it is best if you’ve had some prior sewing experience first. 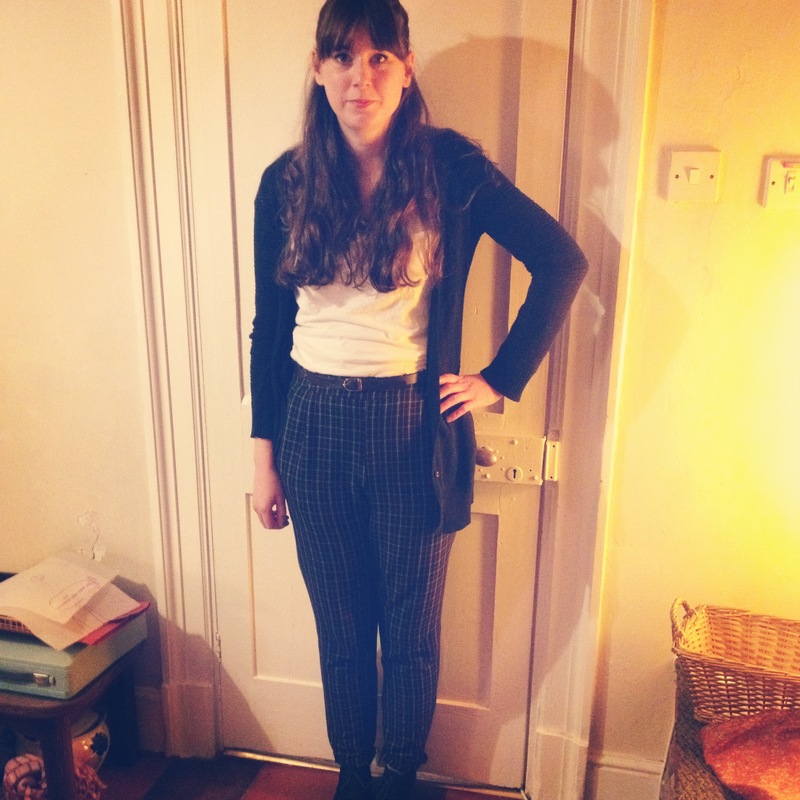 The fabric I found (£4 a metre from my local craft shop) complimented the style of the trousers perfectly too. 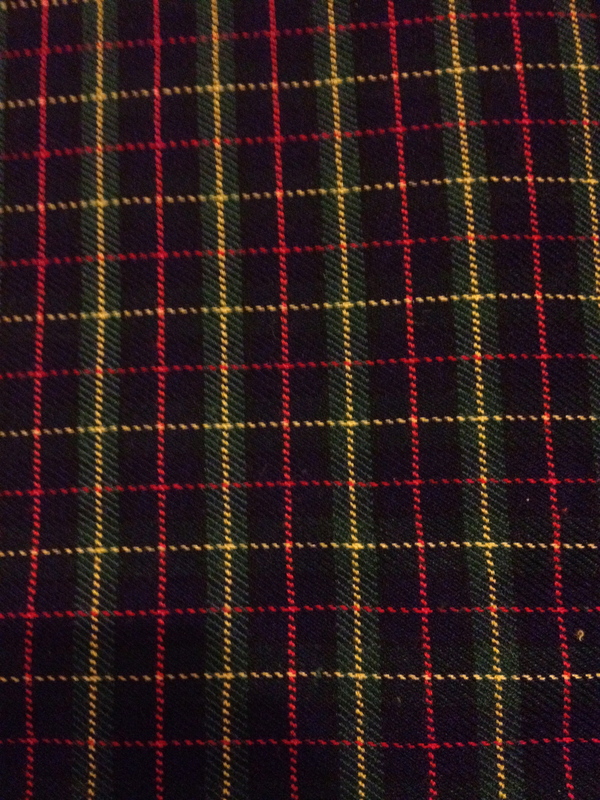 The blue tartan fabric has a touch of the old lady about it, but I like it. And it’s thick enough not to line it, which is always a winner in my book. 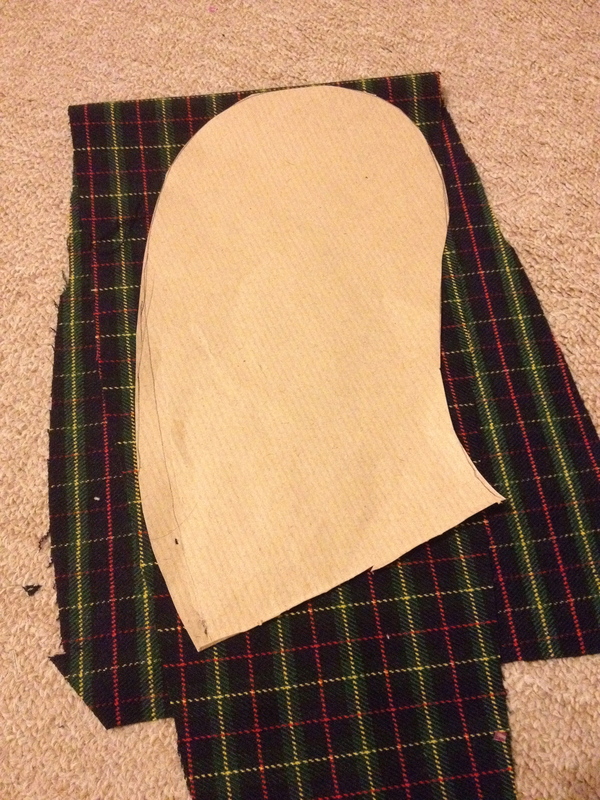 The trouser pattern can be found here. Let me know if you decide to make it.